Pressure Washing in Cape Coral FL - Gafford Painting and Finishing Inc.
Gafford Painting is dedicated to providing our residential and commercial clients, in Cape Coral, FL, the highest possible standards. 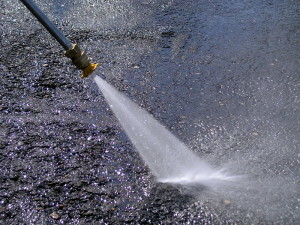 We guarantee our quality & safety on all of the pressure washing and painting projects we undertake in Cape Coral. We pride ourselves on providing our customers with the highest quality workmanship in the industry, while at the same time offering fair & competitive rates. We Guarantee our work & strive for 100% Customer Satisfaction! We regularly service clients such as Shopping Centers, Restaurant and Fast Food Outlets, Strip Malls, Commercial Premises or Headquarters, Retail Outlets, Drive Thrus and more. We are proud of our long history in the Pressure Washing industry in the Southwest Florida Area and pride ourselves on our dedication to customer service. We are proud to offer all new clients considering our pressure washing & cleaning services a free consultation. At Gafford Finishing & Painting We Take the Pain our of Paint!